English singer and songwriter. She signed a record deal with Island Records and began recording her first debut album, Who You Are. She first saw fame when she began writing tracks for Chris Brown and Miley Cyrus. The most successful track she co-wrote is "Party in the U.S.A.", which gained Platinum certification in many countries. 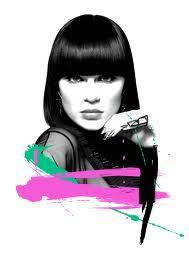 On 7 January 2011 Jessie J came top of the BBC's Sound of 2011 list. She followed this in February by receiving Critics' Choice at the 2011 BRIT Awards. She released her first single, "Do It Like a Dude" which peaked at 2 in the UK. Jessie released her follow-up single, "Price Tag" which went straight to number-one on the UK Singles Chart. It remained at number-one for two exclusive weeks. Her debut album was released on 25 February 2011 and charted at number-two on the UK Albums Chart. This English Singer/Songwriter is going to be hudge!